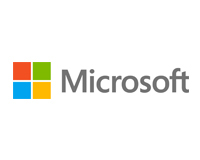 Microsoft Software Assurance Vouchers May be Used. Do you know if your organization has purchased Microsoft software licensing agreement? If they have, you may be eligible to redeem these vouchers for FREE training from Microsoft! How Does the SATV (Software Assurance Training Voucher) Program Work? Please contact your Account Manager if you need assistance determining your eligibility. Microsoft Software Assurance Training Vouchers (SATVs) are accepted!